Recommended For: Diners who enjoy an inventive eclectic menu, prepared with fresh farm to table ingredients, in an attractive, trendy, industrial chic setting. Not Recommended For: Budget conscious diners who prefer a low key, casual family style restaurant with a traditional menu. Recommended dishes: When available, The In House, Dry-Aged Ribeye ( 30+ days ), with potato gratin, grilled green beans & almonds; The Venison Tri Tip with celery root puree, hazelnuts, compressed pear, maitake mushroom, and spiced jus; and The Whole Suckling Pig ' Porchetta' with Creamed Cabbage, apples and vanilla puree, and mustard sage jus. 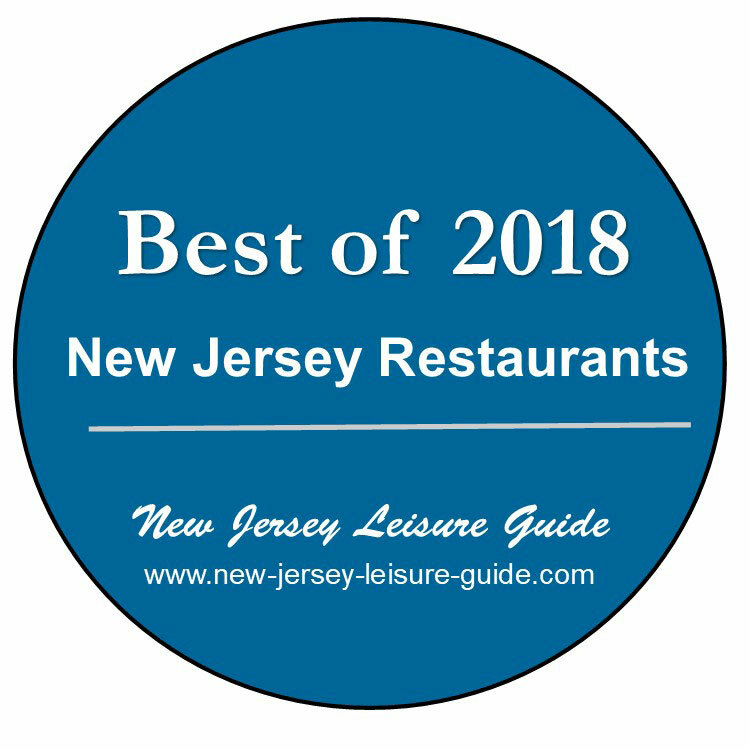 Common Lot is an exceptional restaurant with many forward thinking twists that are not to be found in other New Jersey restaurants. Diners come to enjoy an inventive eclectic menu, prepared with fresh farm to table ingredients, in an attractive industrial chic setting. Common Lot is owned by Executive Chef Ehren Ryan and his wife Nadine. Chef Ryan, born in Australia, worked his way up from dishwasher to take on chef positions at "Dinner by Heston" and "Sketch" --- London restaurants that have each received two Michelin stars. His wife, Nadine received her formal training at the Hotel Management School in Austria specializing in being a cheese sommelier. She later honed her skills in Europe in the tea industry. Her professional training in restaurant management comes to life with her graciousness and on spot running of the dining room. The food is inventive and well executed using farm fresh locally sourced ingredients The menu is offered in three sizes "Smalls to Share", appetizer sized portions, " Big" for traditional size entrees, and "Shared Mains for Two", usually meats, served in huge portions meant to be shared.. Most of the dishes served at the Kitchen Pass Chefs Table are specially created and are not available within the main restaurant. Subject to any dietary restrictions, they will be 'feed you' from an exclusively created and bold multiple-course menu. Some odd twists: This restaurant serves no bread or pasta.. Coffee is served in a French press with a timer buzzing when it's ready to pour. The ambiance at Common Lot is trendy, bustling, friendly, and unpretentious. The decor is largely inspired by Nadine who had tables made from reclaimed structural beams. The walls are adorned with works of art, including an abstract painting by the Canadian artist Mélanie Simard. Tables are set with multi-colored, handmade ceramics designed by Jono Pandolfi, a ceramist in Union City, and accompanied by satin-bronze flatware. There is seating for 64 is on two levels: Downstairs with seating in booths and tables surrounding a large 12 seat communal table, and the Kitchen Pass (Chef's table) with seating for four. While the tables on the upper level are well-spaced, with a library with and some of the chef's cookbook collection on display. along with a dry aging room, downstairs seating is preferred by most diners as having nicer ambiance with the centerpiece being the Kitchen with open viewing by both the dining room and the street. During the warmer weather, they offer outdoor tables that can seat 20. The Main floor dining room and restrooms are wheelchair accessible. For a dining area with industrial chic decor, the acoustics are excellent. Conversation can be had without having to shout over everyone to be heard. The staff is professional, personal, and attentive, without being intrusive. They have a small parking lot by the side of the restaurant but it tends to fill up quickly on Friday and Saturday evenings. There is public parking across the street. Common Lot is very popular. It is suggested that reservations be made well in advance, especially if you are interested in seating at the 4 seat Kitchen's Pass (chefs table).